Both of these diets have been proven to help with weight loss, but which one is better? This article will examine several surveys that tried to get the best results from each diet plan to figure out which is “better.” This is not to say that one truly is better than the other, or that these two are better than any other diet plan out there, but it will show, based off those surveyed, which diet helped an individual to lose the most weight. When you are at home, wondering what you will make for dinner it can get frustrating. No matter how many health foods you have in your house, there are so many diets out there, that you don’t know which combinations will help you to lose the most weight. This will help you to decide on a diet plan that may work for you. Studies show the Mediterranean diet and the Vegetarian diet may be as equally effective at losing weight. 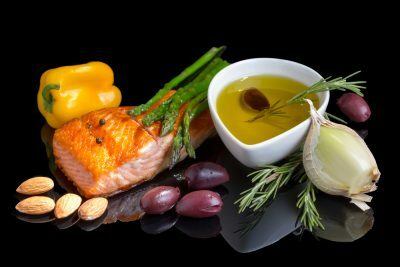 A Mediterranean diet is rich in vegetables, fruits, whole grains, fish, poultry and a little red meat. While the vegetarian diet consists of eggs, low fat dairy, but no meat. According to these studies, these two diets are neck and neck when it comes to helping people lose weight. They were both effective at reducing the risk of stroke and heart disease. On the Mediterranean diet you are allowed to eat many foods, but you will still stay on the lower end of the calories count track. You should eat seafood, breads, fruits vegetables, fish, legumes, potatoes, nuts, whole grains, seeds, spices, herbs, and extra virgin olive oil. The food you should only eat in moderation is, eggs, poultry, yogurt and cheese. The foods you should never eat are, pops and sodas, processed meat, refined oils, added sugars, and grains, basically highly processed foods. On the vegetarian diet, your options are more limited, especially if you are trying to lose weight. If you focus on eating whole foods, like legumes or beans, vegetables, and soy based proteins you can successfully lose weight. You can choose to be ovo-lacto on your vegetarian diet and eat eggs and milk. When it comes to this diet the best way to lose weight is to moderate your calorie intake and exercise. In these studies, researchers tracked 107 healthy, but still overweight, men. These men ranged from 18 to 75 years of age. All participants were asked to follow one of the two diets for three months. Then, after three months, they switched to the other diet plan. Researchers took ongoing measurements that included then men’s body weight, lipid levels, and body mass index (BMI). Dropped about four pounds over the timeframe. They lost about three pounds of body fat. All participants experienced similar changes in their body mass index. This measurement took into consideration the various weights and heights. These are some of the first studies to compare these two particular diet programs. Since these are two entirely different eating styles, it was interesting to see the results of each were similar. The results suggest if both diets are well conducted, they are beneficial for weight loss. The Mediterranean diet and the vegetarian diet both help reduce risk of cardiovascular disease and other various conditions and diseases. If an individual is to do one of these diets, they need to stick to the plan to see the results that they want. If they do not follow the plan correctly, it can lead to weight gain or malnourishment. This goes for any type of diet plan out there. Basically, if you want to see results, you need to stick to it. When it comes to heart health, both diets had perks for this. 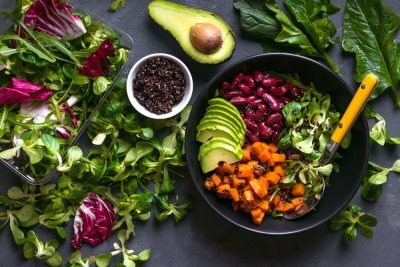 The vegetarian diet is effective at reducing LDL cholesterol, which is the bad type of cholesterol and leads to heart disease and various other diseases and conditions. The Mediterranean diet helped lower triglycerides in the blood. These are fats that flow through your blood and help to create blockage in your veins and arteries of your hearts. The higher your levels of triglyceride is in your blood, the higher your risk for attack and stroke is. Basically, these two diets help fight against cardiovascular disease. Cardiovascular disease can affect other areas of your body, specifically your sexual health. So, keep your heart healthy and reap the benefits as you age. Healthcare professionals believe these are two of the best diets for cardiovascular health. They believe the Mediterranean and vegetarian diets are some of the best diets to help fight against cardiovascular disease. There are many celebrities, and regular people, that have adopted the Mediterranean diet in particular because they do not wish to give up meat. 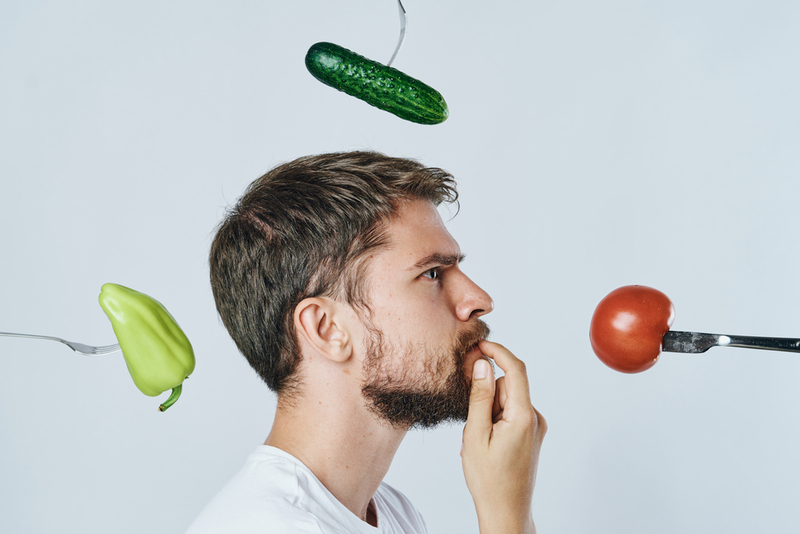 If you are willing to give up on meat products, the vegetarian diet may be the best option for you. Either way, both of these diets are a good way to prevent, and even ease, the symptoms associated with cardiovascular disease. No matter what diet plan you choose, you will need to pair it with moderate exercise. You only need about 30 minutes a day of moderate exercise to stay healthy. You can break this 30 minutes up in smaller segments and get through your day only doing small things here and there. If you want successful weight loss, you need to add exercise in with any diet plan. Always consult your primary care physician before you begin a new diet plan or exercise routine. This will help you to pinpoint what you need to work on and it will give you an idea if you are at risk for any cardiovascular diseases before you begin.